So we learned a bit yesterday about some of the concerns around the rapid shift to mobile e-mail. Challenges across devices and operating systems make deployment more complex for sure. Grabbing the audience by the neck and getting them to respond, reply, engage, like you on Facebook, visit you on Twitter, buy something from you on Pinterest or pass along your offer to a friend that they know is in the market for your product, now this is where it gets really interesting. How do you incent this behavior? How do you drive ‘customer engagement” so that their “expressions” about your company and products are positive and they convey messages that will prompt others to consider your products over another? So how do you breakthrough and distinguish your business in this rapidly changing technology and consumer engagement battle? 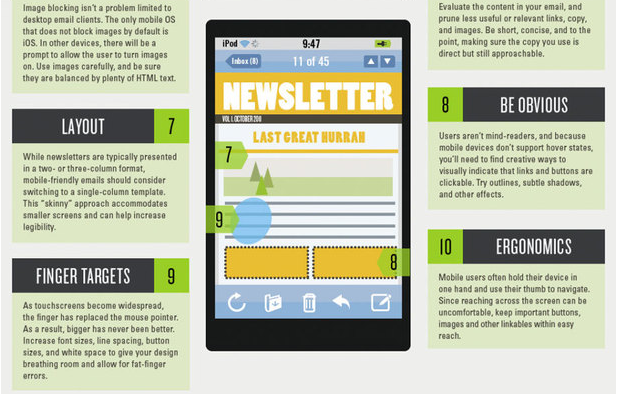 Here are some very helpful tips that will provide you with a foundational approach to mobile e-mail. 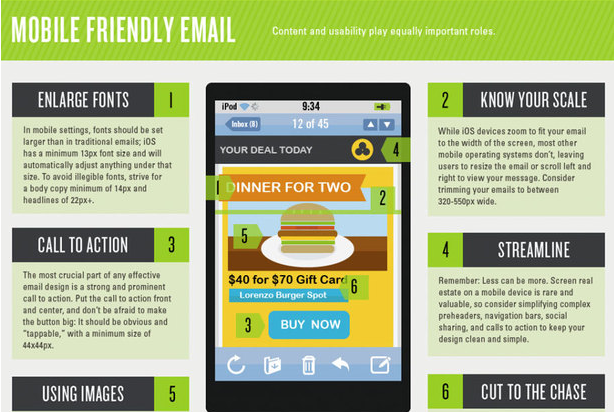 Hope you learn a few tips and tricks on how you can be more successful with your mobile e-mail efforts. Thanks again to our friends at www.litmus.com.